The Olympic swim team did it. The cast and crew of Big Bang Theory did it. The Harvard baseball team did it. And now, you can add my youth group buds to the list. Yep. 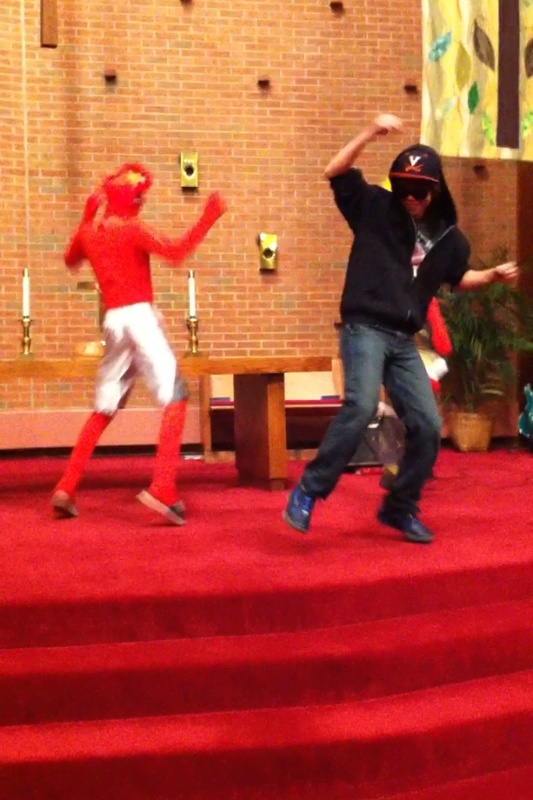 That’s them (and me) kicking off the fall talent show we brought back to life at our church last week with a flash mob. We haven’t had that event in a couple of years, so we took it over, worked together with a couple other teams within the church, and ta-da!!! It was an awesome night, with tons of fun acts, including wrestling moves, stand-up comedy and my pastor dressed as Johnny Angel. We fully intend to do it again next year. Seriously, you guys, I have never been so proud of something/someone. These kids pulled together and learned this flash mob dance so fast plus another act featuring Justin Bieber (also known as Aidan, his doppleganger). Plus we had the full support of the rest of our church and even managed to raise a little money – which is not NEARLY as important as what it did fellowship-wise. Sometimes I get stressed and wonder if I was taking on too much, getting involved with youth group a few years ago. But those times are few and far between and usually more based on the stress of everything outside of youth group. That video up there, that flash mob and those kids, reinforced that I’m doing exactly what I’m supposed to be. I’m so grateful for them and hope when they look back on their time in youth group, they remember it for things like this. And hey, it also helped me cross something else off the list! Wow, sounds like so much fun, how inspirational!